Want to trade in the heavy coats and chilly weather for some fun in the sun? Or, looking for the perfect getaway for a big family vacation? All signs point to Walt Disney World® Resort. Kick off the new year with a fantastic limited-time offer from TicketsatWork: Buy a Walt Disney World® 5 Day Park Hopper® or Park Hopper Plus® Ticket, and get 2 Extra Days FREE! Now’s the time to jump into 2018 and create some magical memories before this exclusive promotion ends February 9, 2018. This ticket package is ideal for visitors who want to experience more than one theme park per day. Choose the Park Hopper® option and come and go from Magic Kingdom® Park, Epcot®, Disney’s Hollywood Studios® and Disney’s Animal Kingdom® Theme Park. 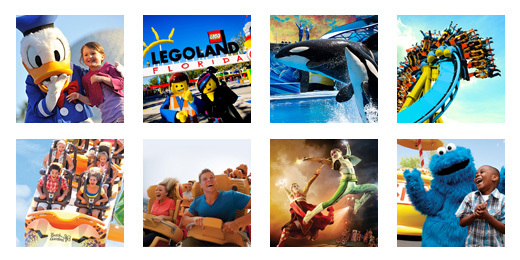 With the Park Hopper Plus®, gain admission to more than one theme park per day, in addition to Plus Visits, where you can enjoy admission to Disney’s Blizzard Beach, Disney’s Typhoon Lagoon, ESPN Wide World of Sports and much more! Plus, there’s a lot more than the theme parks. The on-site hotels, dining options, special events and an entire entertainment complex, known as Disney Springs, will make this a vacation to remember.